This year Mothers Day falls on Sunday 26th March. As that's not very long to go and because lets face it sometimes we all just need a little inspiration, I have compiled a gift guide of some items that would make some great gifts this year. Some of the items are great if you are on a budget and some are slightly higher if you are looking to spend a little more. Chocolate may be seen as a bit of a fail safe gift idea but lets be honest here not many Mums will say no to chocolate. 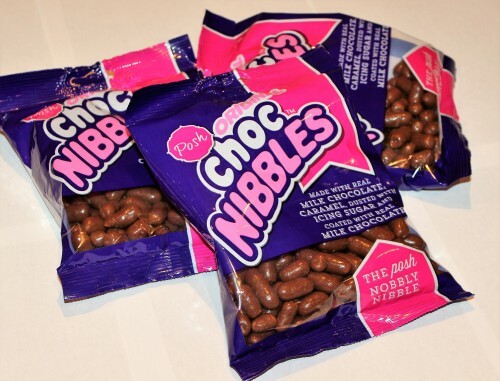 Introducing Posh Choc Nibbles! The best selling ‘Original Choc Nibbles’ have been all poshed up. A new classy combination of chocolate, caramel, biscuit and nuts covered in smooth milk chocolate and now available in 185g bags, exclusively at B&M Stores across the UK. They are a truly Delicious treat and very moreish in fact Blake was keen to get them open as soon as our pack arrived. Another chocolate treat is a personalised chocolate bar which you can purchase from born gifted. 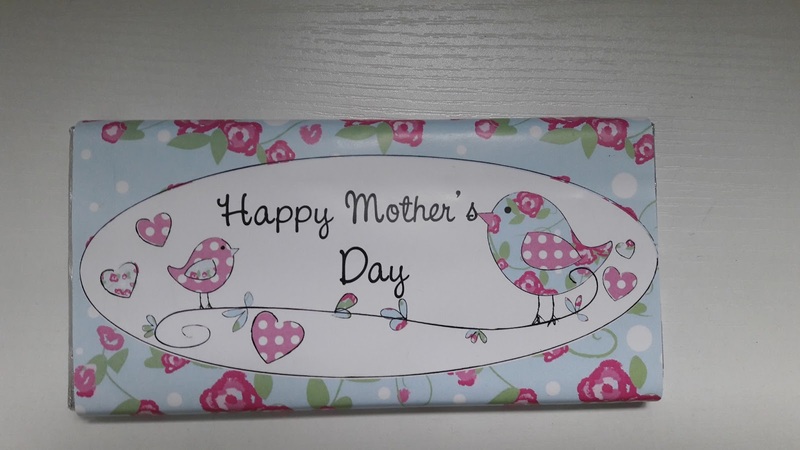 They have many different designs,this cute floral bird design chocolate bar is a fantastic way to tell that special someone that you care. You can choose a special personalised little message on the bar. The bar is milk chocolate and weighs 100g and at £4.99 its a great price too. One of my favorite box of chocolates that is ideal for an occasional treat such as mothers day is Guylian. Their ironic praline seashell chocolates never fail to disappoint. They are made from only the finest Mediterranean hazelnuts which are roasted and caramelised to perfection before being blended with premium Belgian chocolate. A 250g box retails at £5, however you can purchase a bigger 375g box for £7 as well. 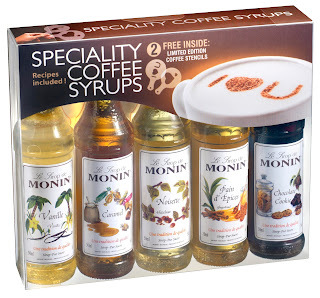 If the lady in your life is a coffee drinker and she loves stopping off into places such as Costa or Starbucks, for flavored coffees than why not give her the gift of being able to enjoy some flavored coffee at home with MONIN premium syrups. The selection gift set contains five delicious flavours: Vanilla, Hazelnut, Gingerbread, Caramel and Chocolate Cookie. as well as a recipe card full of tempting coffees and milkshakes to try at home.The MONIN gift sets are available to purchase from Amazon and Twinings for £9.49. This Mother’s Day, you can show your mum how much she means to you with the gift of a whole year of sparkling wine, delivered directly to her door. 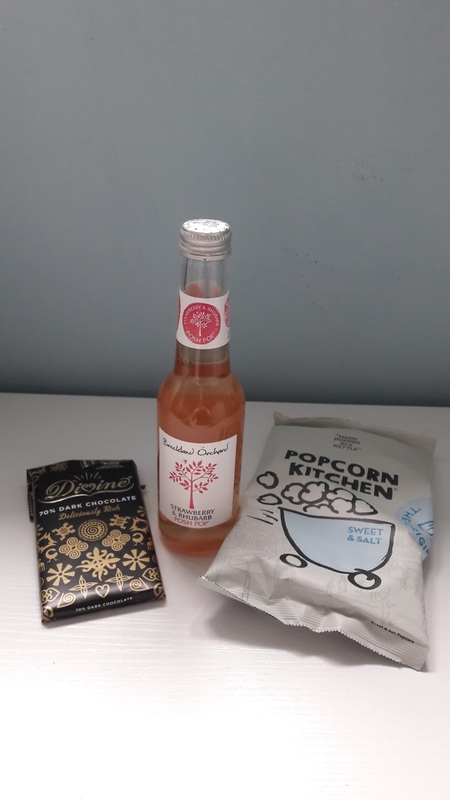 The Bubble box gives Mums the chance to enjoy a bit of fizz from small producers that you won’t find anywhere else, along with new mixers, liqueurs, chocolates, snacks and other treats in a lovely surprise box which can be delivered either monthly, bi-monthly or quarterly. If the person in your life loves make up or even skincare items and you want to give them some new little treats this Mothers day than they will love the following. Jelly Belly Lip Balms have a creamy formula which glides across your lips glazing them with a sweet and glossy finish. These balms will moisturise your lips and provide you with the taste of your favourite sweet treat, Yum! Sleek is a brand I've not used in awhile and I have no idea why not. Sleek makeup have a selection of eyeshadow palettes that are perfect gifts. All Night Long is a neutral palette with 12 highly pigmented shades. Perfect for every day use on any skin tone and can be exaggerated for the night time.They also sell a fab range of lip glosses including matte ones which I am really into at the moment. Tangle Angel are a super cool and fun hairbrush brand, specialising in detangling both wet and dry hair. They come in adult size. cherub size and even a mini key ring. They have a huge range of styles and colours available, meaning there's a style to suit everyone. They've also launched a range of Shine Angels, the professional radial styling brushes, that promise to leave hair shiny, bouncy and full of volume after blow drying. These make the perfect gift for all mums in need of a little TLC! The Tangle Angle really does work wonders at getting rid of tangles so my hair feels smooth and looks good too. They are great products and as they are such fab prices you could even by a selection to make Mum a hamper. I've not used Aldi beauty items before but I'll definitely be using more of their products in the future. Give your mum a gift of relaxation this year with Malki Dead Sea aromatherapy bath salts with frankincense oil & rose petals. £6.85 from Boots. This a delightful aromatherapy treat without needing to go to a spa. Just scoop some bath salts into your running bath water and then lay down and relax enjoying the scent and pure relaxation. 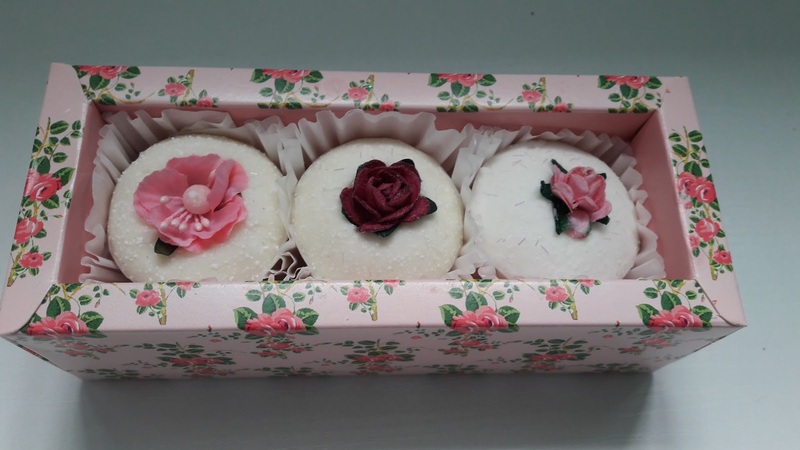 How cute are these bath fancies from Patisserie De Bain they look edible but are in fact a perfect bath treat for Mums. The set of 3 are in rose scent and are the perfect relaxing treat. Jewelry tends to be another popular item when it comes to gifts for Mothers Day. I adore this gorgeous floral heart pendant from Silverbubble. Silver Bubble is a small, independent business run by Heidi. 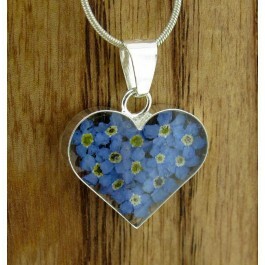 This heart shaped small silver flower pendant with gorgeous blue Forget-me-nots makes a mothers day gift to treasure. RRP: £10 or £21 with a chain in your choice of length. Little gifts that are given with thought can often be the gifts that mums and grandmothers love the most. 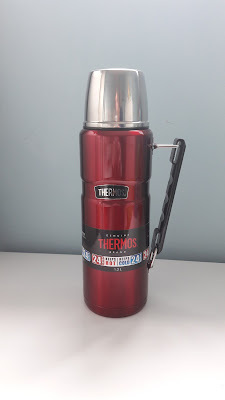 This Thermos is an ideal gift for busy Mums on the go to keep their coffee/tea/soup warm whilst dashing around. The Thermos comes with a 50 year guarantee , BPA free and made from durable stainless steel. Itty Bittyss (Hallmark's mini plush toys) are released under various collections, such as Star Wars, Marvel, Peanuts and Snoopy, Wizard Of Oz, DC Comics, Scooby-Doo and many more. Perfect for mothers day is the super cute and totally true Wonder Woman for all the wonder women mum's out there! Most of the collection of Itty Bittys are available on Amazon, they're also available in store at Toys R Us and selected independent stockists priced at £6 each. We got some at Christmas and Blake loved them, however they also make fab little gifts for Mum's. Matalan is a place you need to check out, they have a whole range of items that are great prices that are suitable as Mothers Day gifts. Here is just a few items of what they have to offer. This floral hanging cushion is only £3. 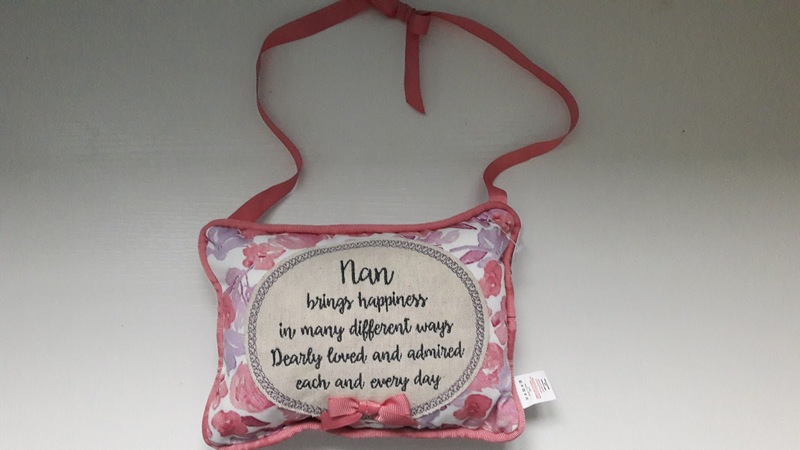 In pink with slogan that reads 'Nan brings happiness in many different ways dearly loved and admired each and every day'. Dimensions: 19cm x 14cm. It's such a sweet little gift for your Nan. I'll be giving this to my mum from Blake who i know will love it. Photo frames are also a great gift idea. This wooden 4 aperture rotating photo frame is only £6. Dimensions 29cm x 17cm. 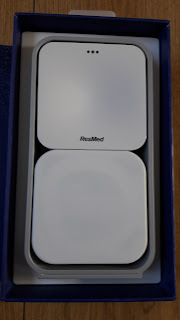 Holds photos: 6cm x 6cm. The frame is excellent quality and you can make the gift more personal by popping your own photos in. If your mum doesn't mind a glass of wine why not include this "Best Mum" wine glass for £4. I adore the floral and polka dot design and it's now my favorite glass for when I have a glass of rose. It's not dishwasher safe but as it's such a gorgeous print for me it doesn't matter to much. Joules Pinic rug and lunch bag from Amara who sell a wide range of luxury gifts and home items. Both the Picnic rug and lunch bag feature an eye-catching floral print against a grey background. The picnic rugs soft surface is perfect for enjoying a delicious picnic with friends and family and is finished with a water resistant backing for any damp grounds. Completed with a carry strap to easily fold away and manoeuvre. I'm so looking forward to getting loads of use out of it. The lunch bag is perfect for taking my lunch with me when out and about. The floral pattern adds a feminine touch and the foil lining ensures my contents remain cool. It's easy to carry to thanks to its carry handle. 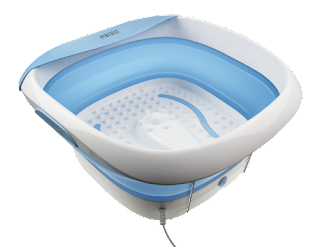 Help the Mum who is always on the go with this relaxing HoMedics foldaway foot spa. Finding time to visit a spa and really relax is something you have to really plan for. So why not gift this HoMedics foldaway foot spa meaning Mum can use her spare time to have a bit of a pamper. The great thing about the foldaway foot spa is that you no longer have to worry about it taking up space as it folds flat to store away with no fuss. Keeping a foot spa at home is not only a good way to unwind without having to open your purse, it's also the perfect way to alleviate built up stress and anxiety, and provides relief from common foot ailments. As a Mum I know perfectly well that sleep can be limited and that us Mum's really aren't getting the sleep we need. The S+ is the world’s first non-contact, fully comprehensive sleep tracking system, which features patent-protected SleepSensor technology. 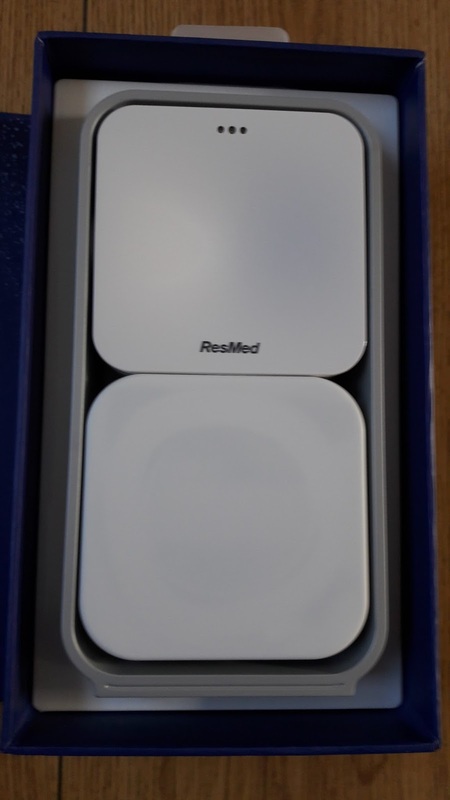 It makes it possible to track, analyse and improve sleep at home without a wristband, electrodes or mattress strips. 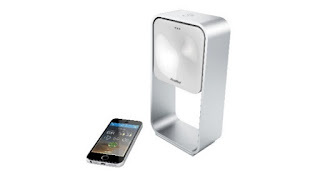 The S+ is available at the price of £129.95 from Amazon and John Lewis, where you can find more information. There will be a full review coming up from me shortly. So there you have it, a wide selection of gifts that are perfect for Mothers day. Do you have plans for Mothers Day this year? This ideas are fantastic and I particularly love the chocolates and coffee syrups! I'm happy with a bunch of daffodils and a big bar of chocolate. Some lovely ideas here. What a great selection here. You can't go wrong with chocolates on Mothers Day! Everything you've chosen is lovely, I would be happy to get any of those things for Mother's Day. I'm taking Ellie to Zizis for Mother's Day this year - yummy food and no washing up for me! These are great gifts. I was stuck for ideas but these have given me some inspiration, thanks! You can't go wrong with chocolates and bath products for Mothers Day! You can never go wrong with chocolate, but everything else you shared is lovely too! You can't go wrong with chocolate, and all the other goodies look amazing too! There are some brilliant ideas here! Great selection of gift ideas. I do love the necklace it's very pretty and would make a great Mother's Day gift. I love the coffee syrup as a present - my mum would love that! What great gift ideas! Food, drinks, trinkets and goodies! Yes please! Some great ideas here. My mom is definitely going to love it. Matalan are really good for homeware gifts, I haven't been in a while but I'm sure there would be something in there for my mum! Those Guylian chocolates are my favourites! Great tips and very helpful. These list are absolutely lovely and perfect for gifts to all Moms out there. You can never go wrong with Chocolate for sure! I like the customized gift ideas and of course, the beauty hauls. Always a good idea for a present.